Samsung Galaxy S9 Mini Seems to Have Appeared on TENAA - Playfuldroid! Few days ago, a Samsung phone with model number SM-G8750 was spotted on Geekbench benchmarking site. At that time, it was speculated that it could be the upcoming Galaxy S9 Mini smartphone. Today, a new Samsung phone with similar model number SM-G8850 has appeared on China’s TENAA regulatory body. According to the TENAA listing, the SM-G8850 Samsung phone has a 5.8-inch display that supports 2960 x 1,440 QHD+ resolution. It is fueled by 3,000mAh battery. The handset measures 147.7 x 68.7 x 8.4mm and it weighs 163 grams. The alleged Galaxy S9 Mini is powered by 2.8 GHz octa-core processor. The handset comes in 4 GB and 6 GB of RAM and it is loaded with Android 8.0 Oreo. For more storage, it has a microSD card slot. The frontside of the phone has an 8-megapixel selfie camera. The rear image of the phone shows that it has a dual camera setup. However, the TENAA listing reveals that one of the dual lenses is of 12-megapixel snapper. 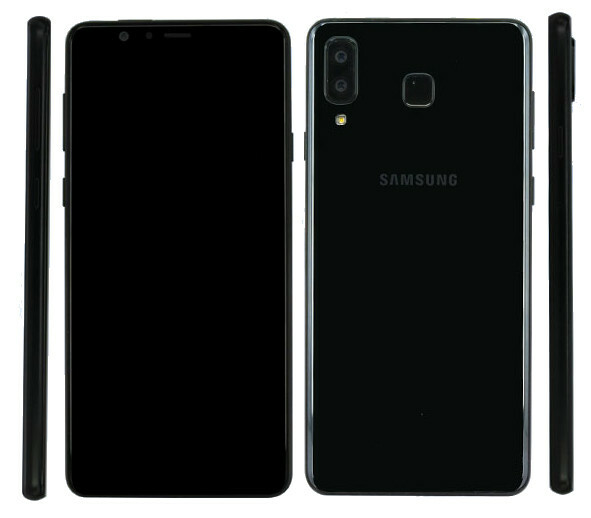 The SM-G7850 and SM-G8850 may not be Galaxy S9 Mini variants but regular mid-range phones from Samsung. It is advisable to wait more to see what the rumor mill has to show about these phones in the coming weeks.